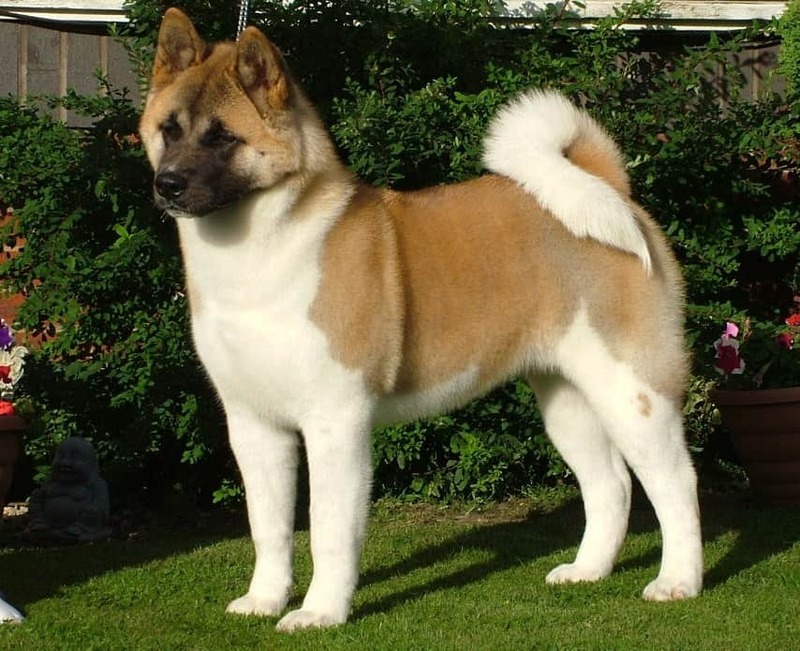 There are seven breeds that are considered to be National Monuments and Akita is one of them. A Japanese breed of dogs, Akita is very popular among the dog lovers. The Akitas are very neat and tidy dogs and generally manifest their sense for territory. They are very loyal dogs and protective towards the family they feel a part of. Akitas love keeping the indoor spaces clean and they often clean their faces after eating. The defining traits for the Akitas are intelligence and bravery and they usually are peaceful and quiet. Akitas are driven by an instinct of proving they are the top dog in the area, but when they are trained well they will cause no trouble. However, the aggression of Akitas, when present, usually manifests against other dogs, so Akitas should be kept in fenced yards. While loyal to the owners, these dogs will be reserved in the presence of strangers. Early age training and socialization, along with early exposure to children will ensure that Akitas will get along well with the younger members of the family. Akitas have excellent guard dogs abilities, barking every time they notice the approach of a potential intruder. The bodies of Akitas are strongly built and while males can reach 70 centimeters in height, the females can usually go up to only 58. As weight, males can also get a bit heavier, up to 50 kilos, while females usually don’t gain more than 36 kilos. Their coats come with two layers, an outer (stiffer) and an under (softer) coat and can bear a wide color range. As an average, Akitas shed twice a year. Akitas are excellent pets, being much appreciated as companions, but their size is an important aspect to take into consideration when one wants to get such a dog. Their size and occasional stubbornness recommends that the potential owner has some experienced with dogs, in order to be able to deal well with an Akita. The ancestor breed of the Akitas is the Japanese Spitz, an ancient breed. The name Akita is linked to the region in the Honshu Island where these dogs were originally bred. One should also consider the health concerns for the Akita breed. These are hyperthyroidism, elbow and hip dysplasia and even VKH, which is an auto-immune disease. Additionaly, they are prone to some skin diseases such as sebaceous adenitis and pemphigus foliaceous, the latter determining the occurrence of scabs and ulcers.